AloeVera.com informs people how they can treat mosquito bites and help prevent possible diseases they can carry while camping or hiking by using an aloe plant. Aloe is often used to treat skin-related abrasions and has even been used as a natural bug repellent. Mosquitos often come out during the summer season. They love warm and humid climates, making summer potentially dangerous for people that like to camp, hike, or do any other outdoor activity. 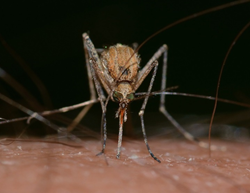 Residue from a mosquito’s saliva often causes irritation and leads to more scratching, if nothing is applied or the area is not treated right away. AloeVera.com has a solution for people looking to avoid the days of painful scratching and still enjoy a fun time out this summer. The team at AloeVera.com wants to invite people to explore some of the helpful tips and tricks they have compiled over the years to employ, with the use of the simple plant to make their outdoor activities safe and fun at the same time. They first teach people how to treat a mosquito bite with aloe, using the plant as a bug repellent, and even treating sunburns with aloe as well. The site also features ways people can use aloe to lose weight, remove makeup, and even how to keep hair healthy as well. People can find the entirety of AloeVera.com’s collection of articles here. Danson is confident that there is something for everyone, whether they want to stay in shape or just keep their skin looking healthy and mosquito-bite free this summer.